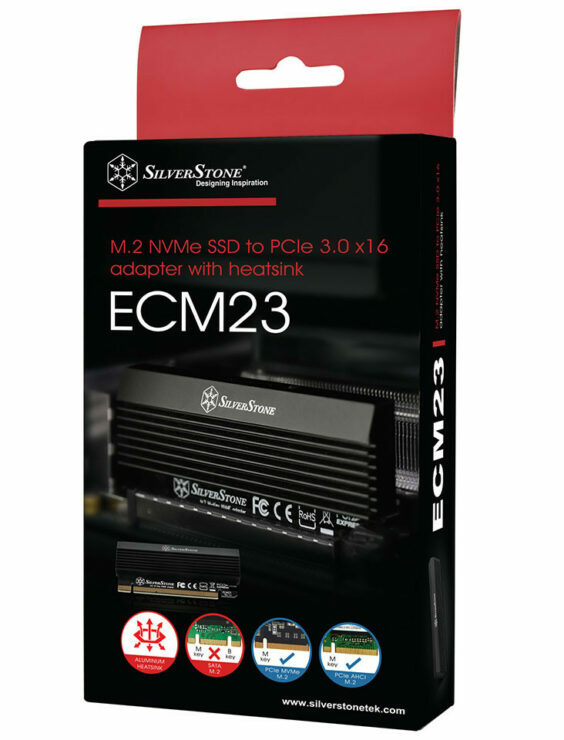 SilverStone, a company well known of their cases, fans, coolers power supplies, and PC enthusiast accessories since 2003 have shown off their newest product the ECM23, which is probably one of the most interesting products in the storage space in the past few years. The thing looks like an old printer or toner cartridge, or something you’d find in a Sega Genesis. It slots inside your PCI Express x16 slots and like any riser card should wires out to its M.2 2280 M-Key slot with a PCI Express x4 wiring, unfortunately while it is a full x16 interface all lanes beside x4 are not used, which they say are to give it some extra retention strength since the riser found does not feature an add-in card to hold it solidly in place. 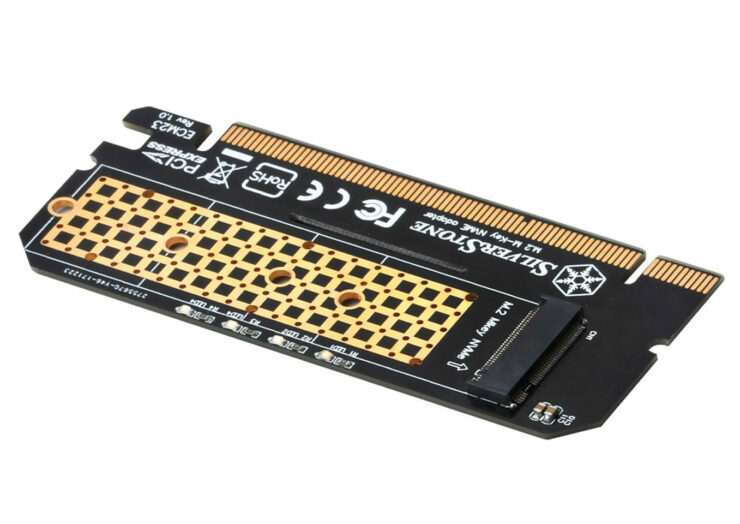 The main PCB serves as a dummy, only providing the activity LEDs and the four PCI Express lanes. 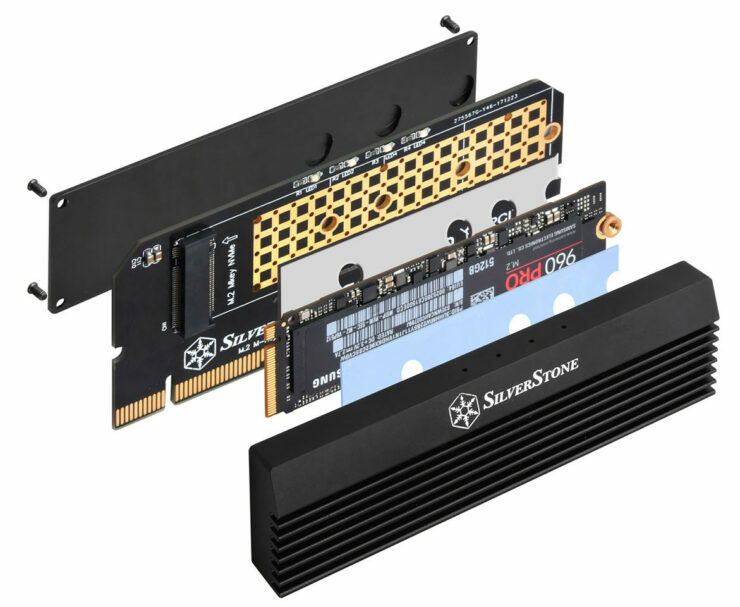 Silverstone aims to make the process of swapping out your M.2 drives a simple and quick process for the end user. 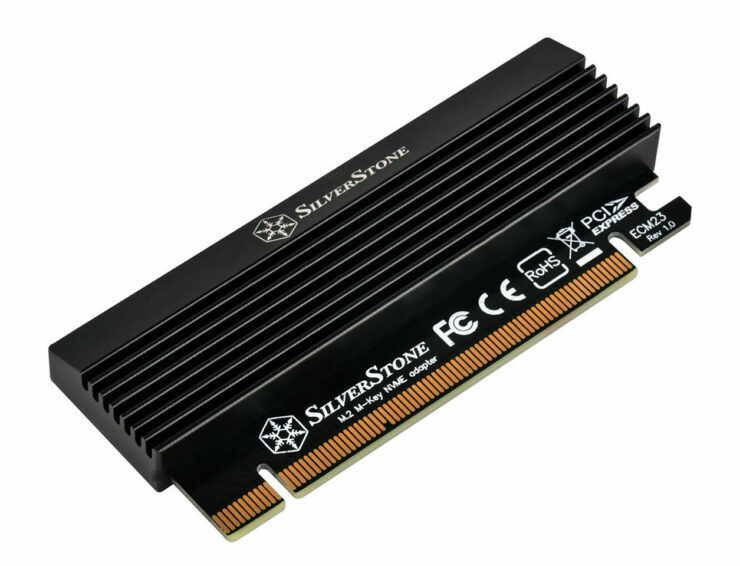 Silverstone has made the decision to put the 40 gram main heatsink on the “bottom” side which would mean its ideal to use drives that are single sided so that the cooling capacity remains on the components that are drawing all the heat. Unfortunately the company did not release pricing info, though they should be shipping in the near future.